Rubies and diamonds always go great together! This bypass ring is no exception. 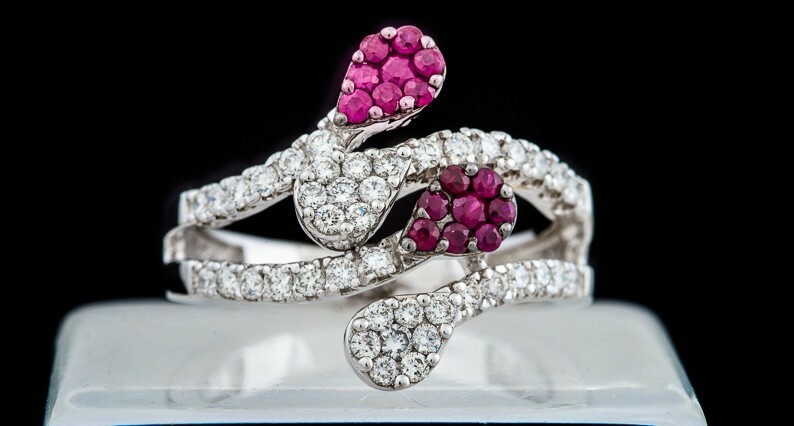 Set in 14k white gold, 16 rubies and 50 diamonds (.95 ctw) combine for a look that is both contemporary and classic!